Applications and registrations have opened for TECH CORPS summer programs, and this year is looking to break even more records in our mission to educate, excite and empower. We are offering summer experiences for rising 3rd-5th, 6th-8th, and 9th-12th grade students. We have both sponsored experiences, offered at no cost to students, and open enrollment programs, available at a low cost. 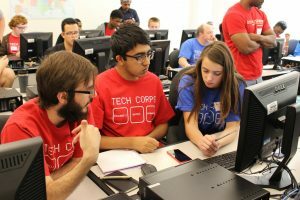 Information on all of our programs can be found at http://techcorps.org/programs or by calling 614-583-9211. Find more information about select featured programs below! 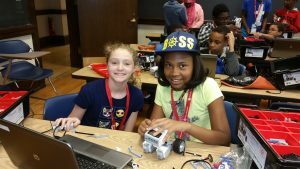 Techie Camps (rising 3rd-5th and 6th-8th) will be offered in Central and Northeast Ohio, as well as New Jersey (Trenton), Rhode Island (Providence) and Georgia (DeKalb County). 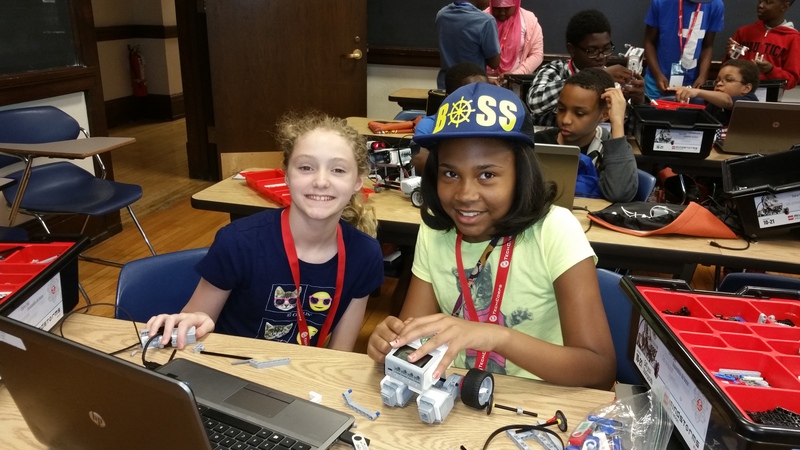 Techie Camps get elementary and middle school students hands on and engaged with technology and computer science experiences, including Programming, App Development, 3D Printing, and Web Development. Find Techie Camp specific information at www.techiecamp.org. Leading employers and industry groups have joined forces with TECH CORPS and RITE (Northeast Ohio’s Regional Information Technology Engagement) to deliver the highly acclaimed High School Coding Camps to Northeast Ohio high school students this summer. This week-long experience is designed to engage students in hands-on, interactive coding activities. The students learn industry standard programming languages and through a series of labs and activities they will be exposed to the same challenges software developers encounter every day. In addition to developing technical and 21st century skills, the students interact with technology professionals from NEO companies as well as learn about educational and career pathways in the region. Now in its third year, the program has grown to eight camps. Of these five are the introductory C# camps and two are Cyber Security camps. There is one all Girl’s camp hosted by Baldwin Wallace University and sponsored by OEC. The camps are sponsored by Bendix, Eaton Corp., NEOSIM, OEC, Progressive Insurance, and The J.M. Smucker Company. Each camp is hosted by an institution of higher learning. The host schools include, The University of Akron, Baldwin Wallace University, Cleveland State University, Kent State University, Lorain County Community College, Cuyahoga Community College and Lakeland Community College. To be considered for the camps students need to apply by April 30, 2017. The application includes a short essay and requires a teacher’s recommendation. Up to 20 students will be selected for each camp based on their application, essay, and letter of recommendation.